Drunk driving laws have gotten tougher over the years, but some say they aren’t yet as tough as they need to be. According to a recent news feature from ABC40, two families are fighting for lawmakers in Boston to increase the penalties again. Last year, a young couple was driving home from a wedding. The male half was allegedly three times over the legal limit of .08 percent blood-alcohol content when he crashed into a tree, killing his passenger. In another case, two years earlier, another young man was killed by a drunk driver. Families for both victims are pressing legislators to do more to prevent such tragedies, and to hold accountable the perpetrators. Defendants in both cases are serving three-to-five-year prison sentences. Both families say that they were told by prosecutors the defendants would likely only serve a full year or two of their sentences, at most. This has understandably outraged the victims’ families, who feel the penalties for taking a life are too lenient. They have been working with state legislators to create tougher penalties. One of those includes a measure establishing a five-year minimum mandatory sentence for any operating under the influence (OUI) action resulting in a fatality. Unfortunately, this bill has been repeatedly stalled in the legislative process. After the last session, it has yet to be reintroduced to the state judiciary committee. In addition to their push for legislative action, the families have started a foundation to prevent deadly drunk driving car accidents in Massachusetts. They are developing a new smartphone app that will allow bar and restaurant patrons to anonymously alert staff that the drinker is too intoxicated to be served any more alcohol. It is hoped that more people will use this app, as they will not have to deal with the likely uncomfortable situation of having to overtly speak with bar staff about a particular intoxicated customer. As our drunk driving accident lawyers in Boston can explain, bar owners may be willing to go along with this program because a bar or restaurant owner can be held liable in certain circumstances through what is known as the Massachusetts Dram Shop law. This law makes it actionable negligence if a bar serves a visibly-intoxicated customer knowing that the person will be getting behind the wheel of a car. This law not only encourages bar owners to be more responsible, but can be of great assistance to the victims of an alcohol-related car accidents. Consider that bar or restaurant owners are more likely to have a higher amount of insurance coverage than the average driver – many of whom carry only the state minimum. 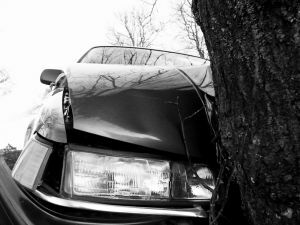 When damages caused by drunk driving injuries and fatalities exceed the policy limits of the drunk driver (as is often the case), plaintiffs can name the bar owners as defendants in the lawsuit. This help them obtain a full and appropriate financial recovery, including pain and suffering, lost wages, special damages, loss of consortium, and possibly punitive damages. Dram shop statutes are similar to social host liability, whereby the host of a party can be responsible for serving guests to the point of intoxication when it was known the drunken guest would be driving.